Pleasurable city or country tours with the original, single-axis electric personnel carriers. These two-wheeled vehicles are easily controlled by body balance and are powered by small, high performance electronic motors. Regardless of whether you are moving straight-ahead, uphill or downhill, you will always feel safe with the SEGWAY. 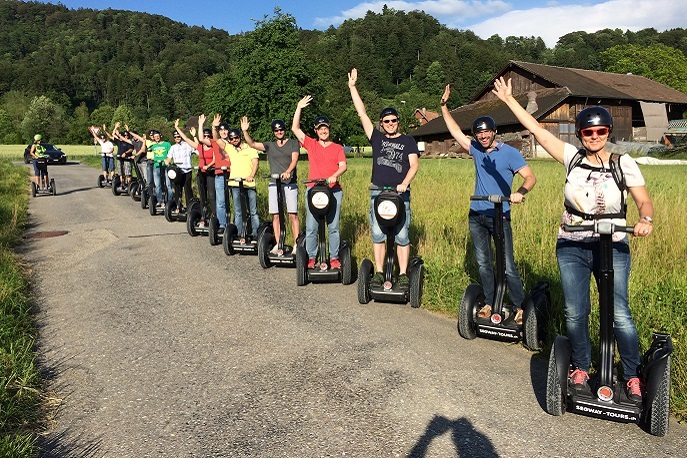 After an introduction and a short driving training, you will commence your journey − either an exciting tour through a city such as Bern, Basel or Zürich or a more relaxing trip in a beautiful area of your choice. Our experienced tour guides will safely lead you to beautiful places and tell you interesting stories along the way. Treat yourself to this somewhat different experience true to the motto: silent, exciting, effortless and very relaxing! You will ride the latest PT i2 model which has a range of up to 38 km and a maximum speed of 20 km/hr. We will, however, not travel more than 15 km/hr to allow us time to look around. In Switzerland the vehicle is classed as a small motorbike (like a e-bike) and is permitted on the road. 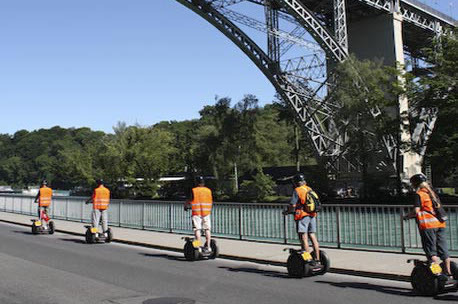 If you do not want to go on a tour you can also discover the SEGWAY in another way. The Personal Transporter can also be combined with other programme elements e.g. an obstacle adventure course or SEGWAY polo. Have we awakened your interest? Valid driving licence for category 1 (car or small motorbike). The consumption of alcohol, drugs or strong medication before this activity is not allowed. SEGWAY tours are possible wherever you have a road or a path you can ride along. 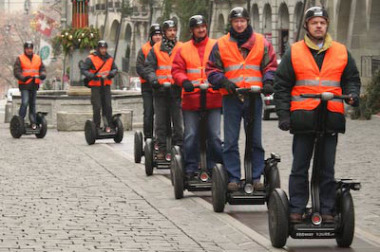 The Personal Transporters can also be used for a driving skills activity. Coffee breaks / also to enjoy the view are possible at any point during the tour.